Tim Pat Coogan is Ireland’s best known historical writer. His pioneering work Ireland since The Rising (1966) gave a new gener­ation an insight into the civil war, partition, the emergence and constitu­tional develop­ment of Fianna Fail, Fine Gael and the unconstitutional devel­op­ment of the IRA. His book, The IRA (1970) became the definitive work on the subject. His biography of Michael Collins, (1990) rekindled interest on both sides of the Atlantic. Coogan’s other works include On The Blanket, a study of the dirty protest preceding the hunger strikes of 1981; Long fellow, long shadow, a biography of de Valera; the first major work on the Irish diaspora, Wherever Green is Worn (2000); and Ireland in the 20th Century (2003). Coogan’s career as an author and journalist (editor The Irish Press 1968–87) has seen him intervew figures as diverse as Ronald Reagan and Mumar Ghadafi and made him a well known per­son­ality on both radio and TV. In 2008 his memoirs were published by Weidenfeld & Nicolson. John Scally is the Beresford Lecturer in Ecclesiastical History in the School of Religions and Theology in Trinity College, Dublin. He is the author of over twenty books. His most recent works are: Mother Teresa: The Irish Connection and 100 GAA Greats. He delivered a paper to the 2010 Percy French Summer School on the endur­ing significance of the music of Percy French. A native of Curraghboy in County Roscommon he retains strong links with the county. He is the founder of a voluntary organisation called The Rossies that sup­ports charitable and worthy projects in Roscommon. He lives in Dublin and suffers from A.S.S.–Addicted to Sport Syndrome. His sports books include: Load of Balls: Football’s Funny Side; GAA: An Oral History; The Best of the West: GAA Greats of Connacht; Odd-shaped Balls: Mischief-makers, Miscreants and Mad-hatters of Rugby, and biogra­phies of Tony Ward, Ger Loughnane, and former legendary Roscommon footballer, Dermot Earley. He has devised, presented, scripted and produced documentaries and series for RTÉ Radio One and RTÉ Television. Bryan Hoey is one of Ireland’s most versa­tile singers with a voice equally at home in grand opera, operetta, and musicals. His formidable repertoire includes Die Fledermaus, Gypsy Baron, Student Prince, My Fair Lady, L’Elisir D’amore, Maritana, Lily of Killarney, Bohemian Girl and the major roles in Gilbert & Sullivan. In 2007 he sang Normano in Lucia Di Lammemor with Anna Livia Opera (Dublin) and with the Drawing Room Opera Com­pany (Dublin). Bryan has sung as principal tenor with Opera Theatre Company and many societies including: Musical Arts Opera Company, Island Opera (Isle of Man) and Wexford Opera Festival. In oratorio he has sung with many of the leading choral societies and choirs and his concert work includes the RTÉ Symphony and Concert Orchestras. He has featured on The Late Late Show; The Likes of Mike; Live at 3; Overture and Music of the Nation. Recent performances include Rossini’s Stabat Mater and Mozart’s Requiem and Coron­ation Mass. 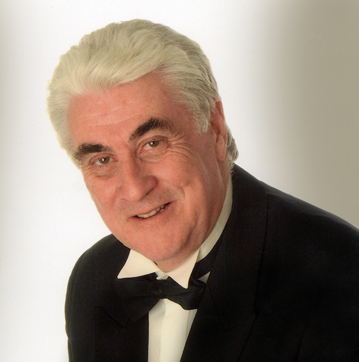 He has been awarded the John McCormack Medal for service to music by the Bank of Ireland and the Vocal Heritage Society of Ireland in 1998. 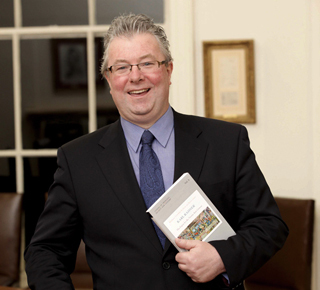 Dr Stevens lectures on English Literature in St. Patrick’s College, Drum­condra (DCU). In The Irish Scene in Somer­ville and Ross (2007) she re-evalu­ates19th-century women writers and shows how these commenta­tors on Irish rural life immersed them­selves in contin­ental liter­ary and visual traditions. Contri­butions­ to books include an assessment of Elizabeth Bowen’s critical afterlife; the study of depic­tions of Georgian Dublin in art and literature called Views of Georgian Dublin: Perspectives of the City (2008); a collab­ora­tive work with Dr. Síghle Bhreath­nach-Lynch for the book, Local/ Global: Women Artists in the 19th Century (2006); and Divided Worlds: Studies in Chil­dren’s Liter­ature (2007). Interest in landscape studies has resulted in work on Emily Lawless and her recording of The Burren, partly pub­lished in Ireland: Space, Text, Time (2005). 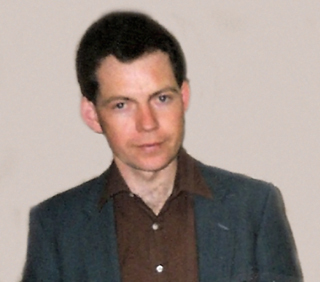 Recently she presented, ‘George Moore, Somerville & Ross and the Reconstruc­tion of Optical Experience in Late 19th Century Irish Short Fiction’ at the Ireland and the fin de siècle’ confer­ence, RIA, 2009.
he has published a number of articles relating to local history. He is interested in the local history of his parish of Fuerty where he went to live in 1980. His interests include genealogy and photography. Pádraic Conway is Director of the UCD International Centre for Newman Studies and a Vice-President of University College Dublin. He was Principal Investigator for the project, John Henry Newman: Global and Local Theologian, funded as part of the Irish Government Structured Dialogue with Churches, Faith Communities and Non-Confessional Bodies programme. He has lectured on Newman in Europe, America and Australia and co-edited the volume Karl Rahner: Theologian for the Twenty-first Century (Peter Lang, 2010). He is author of the forthcoming Judging Newman (RIA). 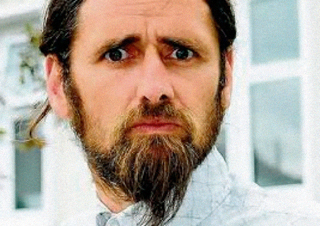 Luke ‘Ming’ Flanagan is married with two children and lives in Castlerea, County Roscommon. 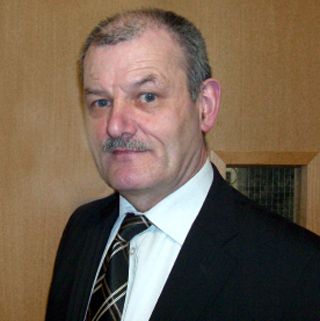 Luke Flanagan has been involved in politics since 1997 and was elected to Roscommon County Council in 2004 and 2009. He served as Mayor of Roscommon County Council up to his election as a poll topping Independent TD for the constituency in the recent general election. He is part of the new independent alliance in the Dail. He maintains a high profile as an ardent and passionate spokes­person for the rights of people to cut turf and is Chairperson of the National Turf Cutters Association. Brian Munn has been an actor and broad­caster since the age of 12 years, when he played his first role in a BBC Drama pro­duc­tion. He has worked in all areas of the business from stage actor to television game show host, from Radio Drama Producer with RTÉ, to film actor. In films, he has been husband to Helen Mirren, in Cal and flirted with the star of Misery, Cathy Bates, in P. S. I Love You, and even had to beat up Tom Cruise in Far and Away. Brian has been a voice-over on Irish radio and TV commercials for an extra­ordinary range of products and services for over 35 years–you might not know the face but you will more than likely know the voice! However, his greatest professional joy is in reciting poetry. He presented a series of poetry programmes for Lyric FM. Paul O’Kelly has written biographies of artists Pieter Sluis, Markey Robinson, and the American pop-art pioneer Andy Warhol. 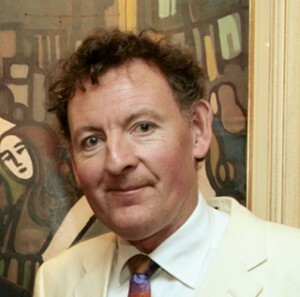 He has lectured on Warhol and Duchamp in the National Gallery of Ireland, and has given talks on Percy French, Markey Robinson, Victor Vasarely, Andy Warhol and others on RTÉ Radio 1, 2FM, RTÉ Television and the BBC. His first work of fiction, Cameo Girl, is pub­lished in the United States later this year. The lecture he will deliver expands on a talk given to Percy French enthusiasts during last year. It examines the connection between French’s work as a satirist, song­writer and cartoonist, and his more serious work as an artist in watercolours. 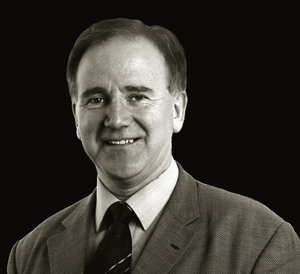 Brian O’Connell, director and founder of O’Connell Mahon Architects. 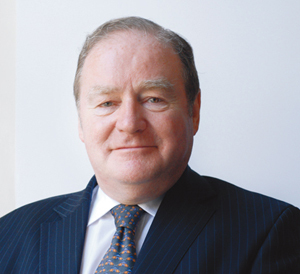 He graduated from the School of Architecture UCD in 1968 with first class honours; President of the AAI in 1972; became a member of the RIAI in 1975; studied law at UCD and Kings Inns and was called to the Bar with first class honours in 1979. As President of the RIAI, 1990–91, Brian was a founder of the Architects Council of Europe, the repre­sentative body of the profession in the EU, and was assigned by them to assist in bring­ing Western Euro­pean practices to the USSR and Eastern Europe. Brian worked as a Non-Attached Expert to the European Commis­sion in the development of Direc­tive Policy in the field of construc­tion and chaired the GAIPEC commission on Construc­tion Liabil­ity. He is also an Arbi­tra­tor and Conciliator in construc­tion and asso­ci­ated matters. Brian has lectured at NUI in Contract Man­age­ment. At the University of Ulster he lectures on the Law of Disability in Ireland, with par­tic­ular emphasis on tthe imple­men­­tation of uni­ver­sal access standards in buildings. 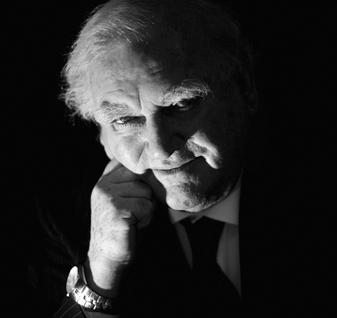 Patsy McGarry, a Roscom­mon man, is Relig­ious Affairs correspon­dent of The Irish Times. He has worked for Independent News­papers, The Irish Press Group, Magill Magazine, and freelanced for RTÉ. In 1989 he set up the first independent radio news­room in the Repub­lic at Capital Radio (now FM104). He was The Irish Press theatre critic 1990–1995. 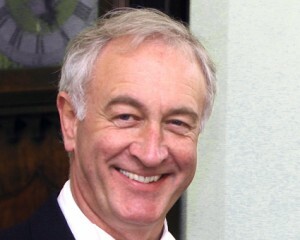 In 1992 he received a nat­ional media award for his Sunday Independent articles on the fall of Charles Haughey as Taoiseach, and in 1998 the Templeton Euro­pean Religion Writer of the Year for his Irish Times’s articles on Drumcree, the papal visit to Cuba, and criticism of the Irish Churches for failing to prac­­tise what they preached on recon­]cilia­tion. He edited Christianity, a collection of essays published by Veritas in 2001. The Book of Jesus Report, a con­tem­porary account of the four gospels, a collection of his weekly columns in The Irish Times, was published by the paper in 2001. Other books are While Justice Slept: The True Story of Nicky Kelly and the Sallins Train Robbery (2006) and the official biography of President Mary McAleese, First Citizen: Mary McAleese and the Irish Presidency (2008). 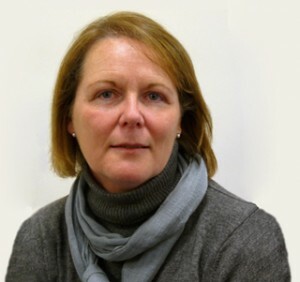 Gaye Ashford is a native of Co. Sligo but raised in Dublin, studied History and Geog­raphy as a mature student and gradu­ated from St Patrick’s College, Drumcondra with a BA (Hons) in Humanities in 2007. She is in the final year of her PhD research­ing children and child­hood in 18th century Ireland at St. Patrick’s College. 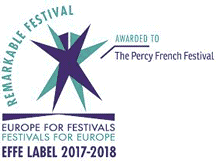 Since 2008, Gaye has been in receipt of a fellowship scholarship from An Foras Feasa. 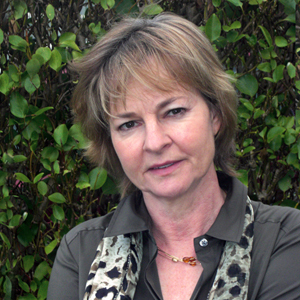 Her research interests and publications include children in 18th-century Ireland, 19th-century Irish emigration, and family and local history.